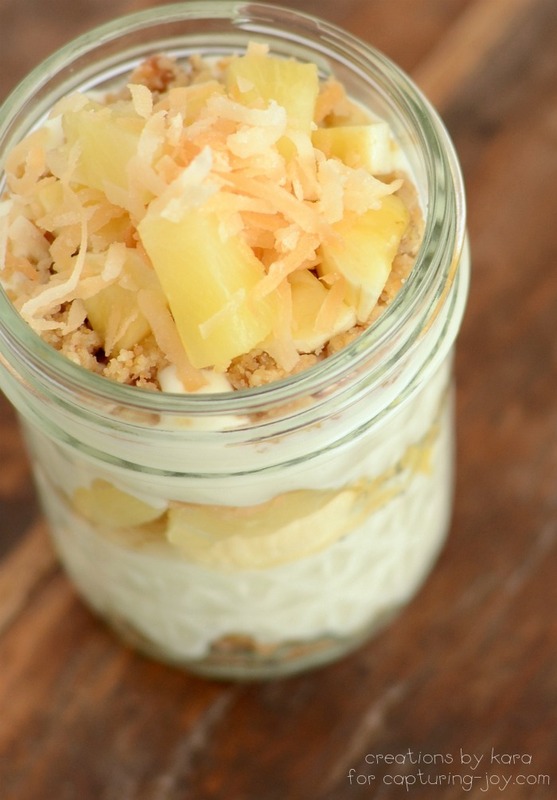 If warm weather is slow in coming in your neck of the woods, you can create your own little tropical escape with these Banana Pina Colada Trifles. 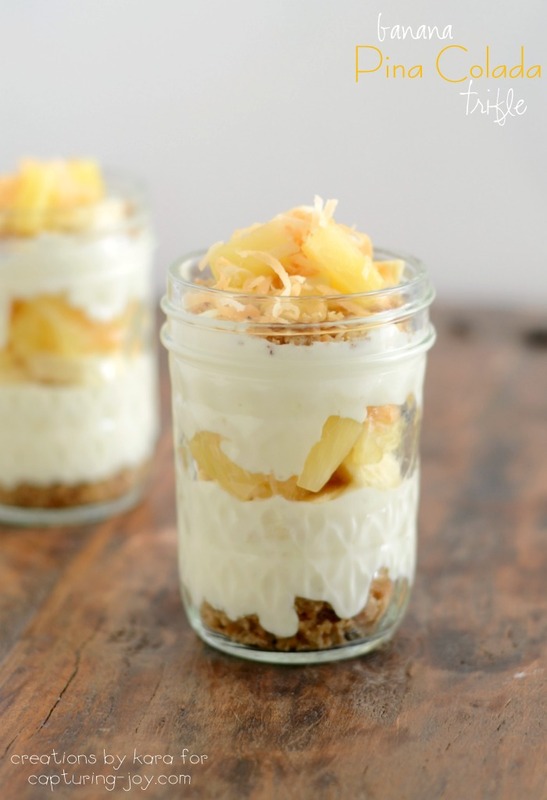 With layers of cream filling, chunks of pineapple, slices of banana, and toasted coconut, they are sure to bring a bit of sunshine into your life! Instead of the typical cake layer in trifle, I opted for a buttery crumb crust. I used it on the bottom, and sprinkled more on the top. It is heavenly, and we didn’t miss the cake at all! The combination of flavors and textures in these trifles is incredible. 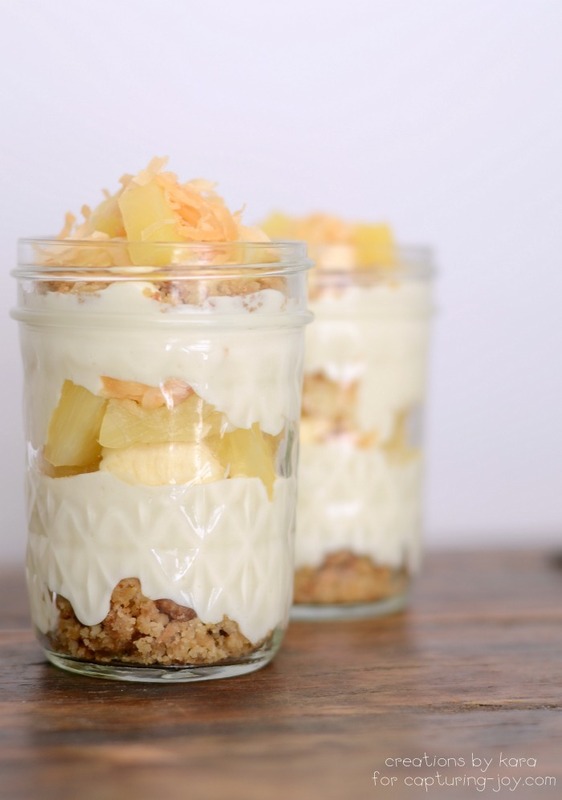 Creamy cream cheese filling is the perfect compliment to the juicy pineapple, sweet banana slices and crunchy coconut. So yummy. Make sure you toast the coconut for best flavor! Doesn’t it look so pretty sprinkled on top? Usually I just make trifle in my large trifle bowl, but lately I’m kind of obsessed with serving things in little individual serving sizes. They look so cute, and are much easier to serve. But of course if you prefer, you can just layer the ingredients in a trifle bowl or glass serving bowl. Either way, it will taste like a little bit of paradise. Press into a 9" square pan and bake at 375° for about 15 minutes or till golden brown. 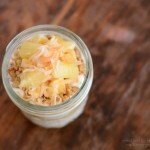 In 10-12 small mason jars or clear plastic cups, layer half of the crumbs, filling, 2/3 of the fruit, and 2/3 of the coconut. Add remaining filling, then crumbs. 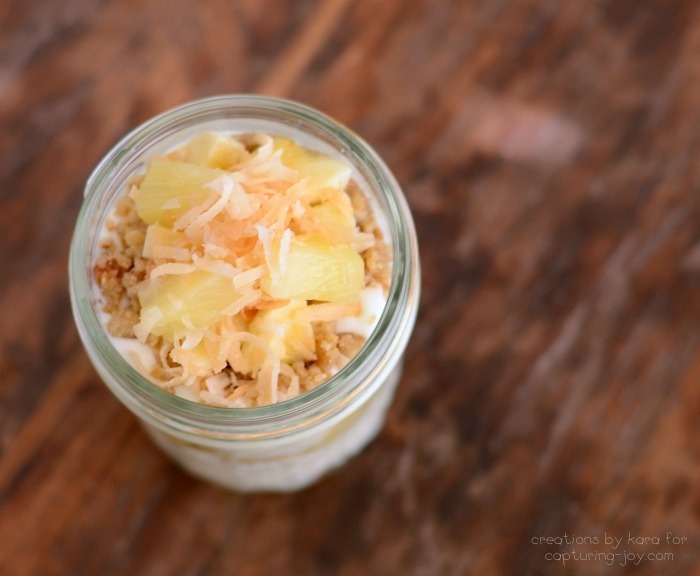 Top off with bananas, pineapple, then coconut. Serve immediately or chill for up to two hours.